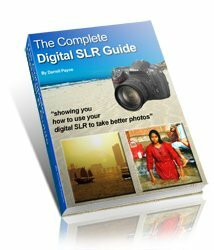 Beginners photography is what this section of the site is all about; and this page concentrates on the basics of digital photography. The whole site is dedicated to helping everyone to take better photos, so what makes this section so different? You'll find many 'tooltips' among these pages, giving you extra information about specific photographic terminology. A primary, and often ignored, rule of thumb is "Read the Manual". Yes, it may be boring, but you will be forever grateful for the discovery of a particular setting or feature that will enable you to take better photographs. For example, most cameras have timers, distance and macro settings, lighting and flash settings and many will come with a video camera option. Additionally, many new digital cameras come with automated features for taking portraits, long-distance or motion shots. Taking the time to experiment and learn the camera should be a pleasurable experience. A second rule of thumb is to invest in a back-up battery. Not everyone remembers to charge their camera ahead of an important event, and it is truly upsetting to lose out on the opportunity for memorable or great pictures due to a dead battery. Some cameras with LCD screens allow for them to be turned off, which can save a great deal on battery usage, and it is a good idea to do so if a camera has a viewfinder. Also, don’t watch any video recording made on the camera as these too are enormous drains on battery reserves. A good way to learn the basics of digital photography is to go out and use the camera! Take a walk, or make a planned excursion, for the purpose of experimenting with it. Disabling the "auto" features can help someone learn basic photography principles, and testing some of the digital settings can enhance the users understanding of what each option is capable of recording. One of the great benefits of digital cameras is their memory cards, which can allow for experimentation without the expense of wasted film and processing fees. 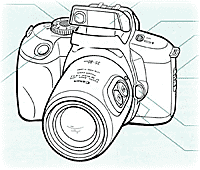 A digital camera owner can simply review their photographs and delete those found unsatisfactory. A word of caution for new users - view the images on a computer monitor before making the final decision. Frequently LCD screens are just too small to view the image well. Taking some time to explore and experiment with a new camera is a great way to become a better photographer, and once the basics are mastered a digital camera will present a whole new world of flexibility and creativity.